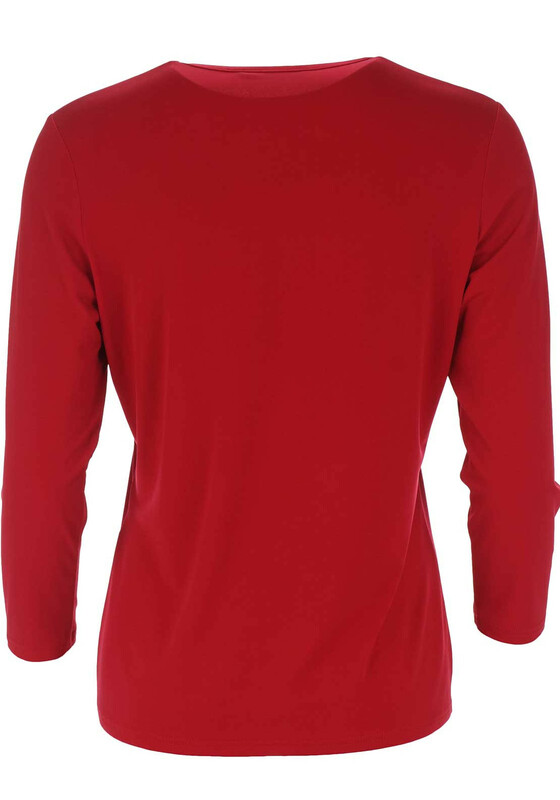 Via Veneto presents this long sleeve top in classic red. 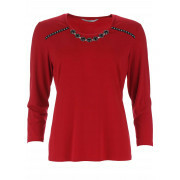 A sophisticated choice to wear with black trousers or a skirt for an evening out. 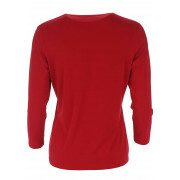 Designed with a straight shape and made from soft jersey fabric with embroidered trim at the shoulders. 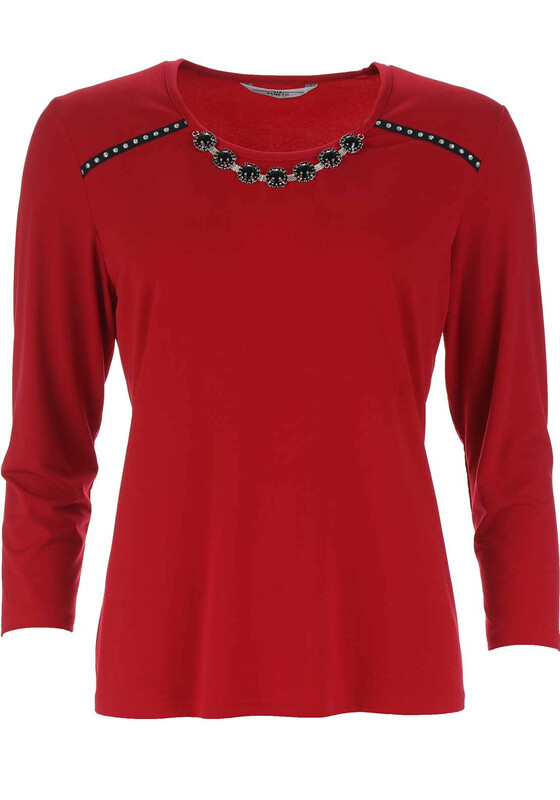 An embellished necklace detail adds an extra touch of glamour.